Application hosting is increasing in popularity as more companies look to make their applications available to both customers, vendors and employees. This also requires that the application be available 24/7 so the choice of application hosting provider is critical as well. Unfortunately trying to find an application hosting provider that is qualified is difficult. Go to any search engine and type in Application Hosting and you will be inundated by companies that claim they can provide this service. However, if you visit their web site you will soon realize that there is very little information provided about their application hosting service. 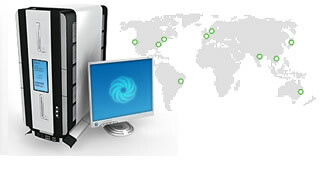 In fact most of the time you will be taken to their web hosting page. But don't be fooled. There are very important differences between hosting a web site and hosting a high volume application. It is very important you get the application server configured correctly the first time. This configuration will determine how well the application performs, how easy it will be to increase the throughput, and how easy it will be to back-up. Your application hosting provider also must be familiar with your application or have the technical depth to be able to learn it quickly. An application is much more dynamic than a web site, so your application hosting provider must be technically skilled. There can be great value to having an application available on the Internet, but only if your application hosting provider can properly configure and maintain it. An application server performs the function of controlling the application programs within computer systems. The application server is often referred to as middleware as it is the link between the front-end of the computer system, also known as the graphical user interface, and the back-end databases. The front-end of most Internet-based systems is a web server that provides web pages to browsers. An application server can be integrated with a web and database server on a single physical server or it can be part of a complex cluster. An application server is typically part of a cluster for high volume or complex transaction applications. Within a cluster an application server would probably be on its own physical server and there may be more than one application server to provide redundancy. Likewise, there would be unique and multiple web servers and database servers within the cluster. It is critical for an application server to be configured properly the first time. A properly configured application server will be easily scalable and will be easier to maintain at peak operating efficiency as well as backup. To achieve this it is best to have engineers that are familiar with the applications on your application server or are technically advanced and can quickly determine the unique requirements of your applications. 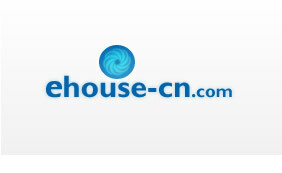 © Copyright 2019 ehouse-cn Web Hosting. All rights reserved.